While I’m fairly terrible at improvisational comedy (shoutout to the Improv Jam troupe in Red Bank NJ, who know firsthand), there’s a rule of thumb that has done me immeasurable good throughout my professional life – the “Yes, and…” concept. Person A: It’s so good to see you, “Grandma” – I’m glad you could come to the rave! Person B: What are you talking about? I’m not Grandma, I’m your coworker and we’re at the office! Person B: You’re darn tootin’ little bobby! Now hand me my glowstick knitting needles and let’s get krunked! 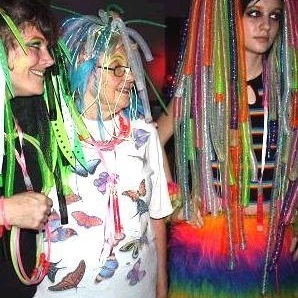 In the second scenario, the “Grandma” agreed that they were, in fact, grandma and that the setting was a rave party. The “and” came as Person B assigned Person A a logical identity (“little bobby”) and made supporting references both to the rave and “Grandmas” age with a knitting needle joke and slang. This was the “and” part of “Yes, and…” – Person B helped the scene move forward and empowered their scene partner with information. Okay, But What About Freelancing? Are there Drawbacks to “Yes, and…” ? Freelancing itself is a gamble, and yes, you will run the risk that they’ll take your ideas and make off with them. However, a few ideas off the top of your head shouldn’t be half a novel, nor take more than a handful of minutes to conceptualize and present. If you get one job out of 4, it’s still one more job than you had before! And unlike certain *ahem* writing sites that demand you work for free, it’s entirely up to you whether or not to pursue “Yes, and…” with a given client. Listen to your gut, here. 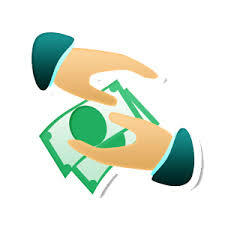 If a client seems pushy or unrealistic and doesn’t pay well, or if they try to lowball you on a bid, that’s not a professional relationship, they’re just waiting for the right moment to take advantage of you. Good clients – the ones worth pursuing and building on – pay you a fair wage and have realistic expectations for project facets like turnaround time and work volume. Save your “Yes, and…” effort for them. One of my best “Yes, and…” nudges turned into a client I’ve been working with steadily for two years. She pays what amounts to half of my rent each month, and it all happened because I made a few suggestions and offered to deliver content on a regular basis. Remember, there is value in a cohesive tone for a corporate blog or regular social media posts – use that as a bargaining chip when making your “Yes, and…” proposition. They might be able to get similar work elsewhere, and maybe even cheaper, but if you’ve honed your writing correctly, no new writer can ever match your tone exactly.